It was with a lot of surprise that I reacted when I learnt from a friend, that there’s one brand of Oats available in India that has customised the oats to substitute various Indian staples. So when Bagrry’s India contacted me to try out some of their products, I agreed pronto. 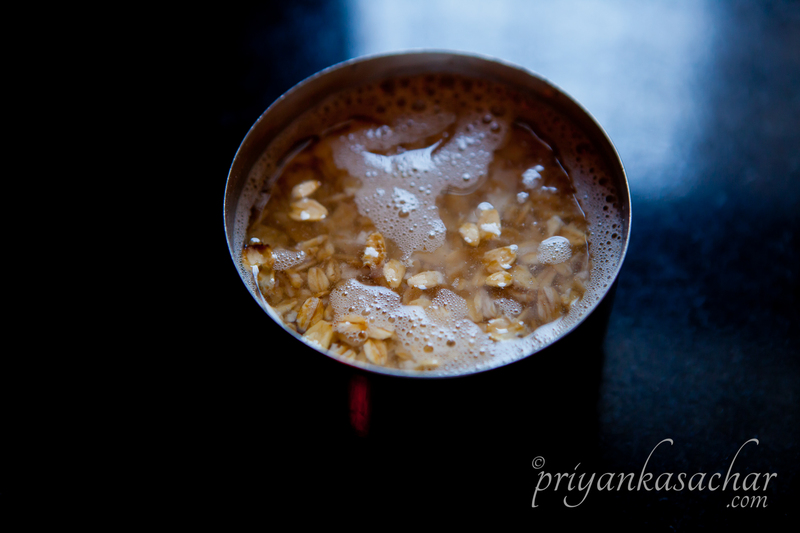 They have Oat substitutes for Atta, poha, sooji, and rice among other things like regular oats. AFAIK there’s no other Oats brand that provides “customised for India” variants. I have tried some of their products and quite liked them. 3. In a pan add oil and heat it on a high flame for 2 minutes. 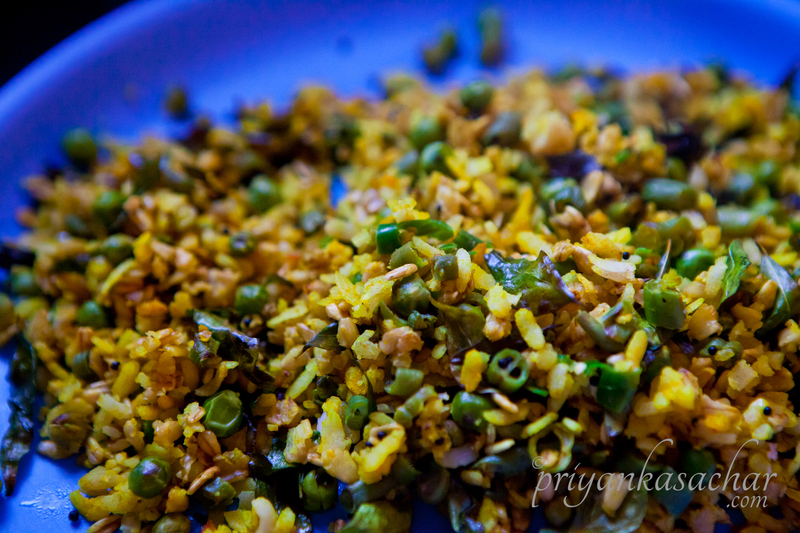 Now add mustard seeds, dry red chillis, curry leaves. Let the mustard splutter a little bit. 5. 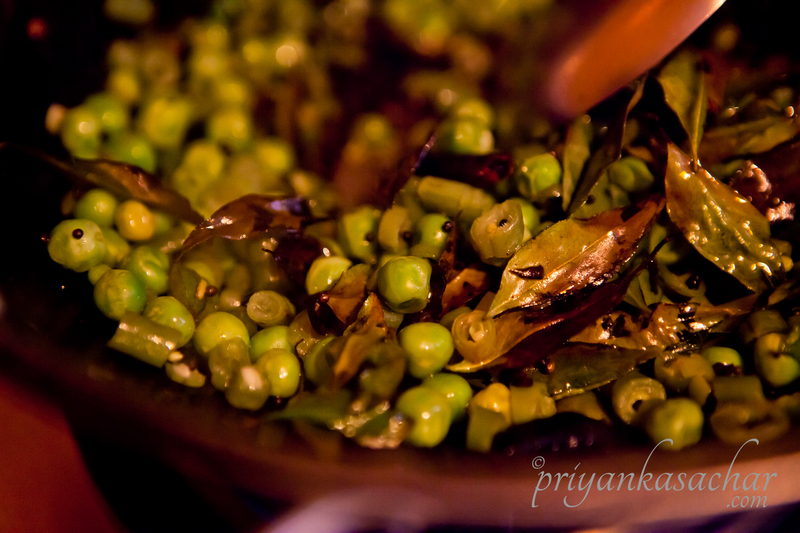 After a while, drain the peas and french beans and add to the pan. Stir continuously. Simmer down the flame and cover with a lid till the vegetables are cooked. 6. 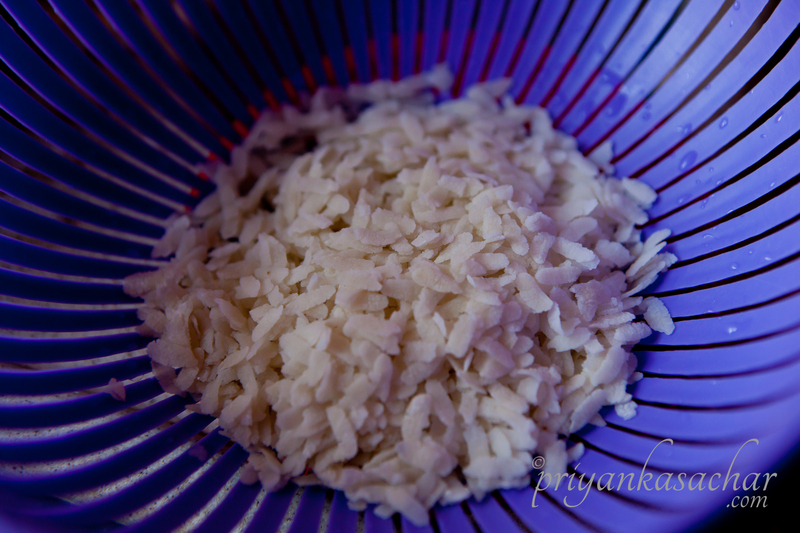 Now add Oats for Poha and all the spices. Mix well. 8. Cook on medium flame for 5-10 minutes. Meanwhile roast the peanuts on a tawa for 4-5 minutes and then let them cool. Here’s the recipe in recipe card format. I must say it was quite tasty unlike what I really expected. It was very filling as well. I felt less guilty because of replacing at least some part of my white grain consumption with oats. 🙂 Go ahead and try the recipe and let me know how yours turned out!